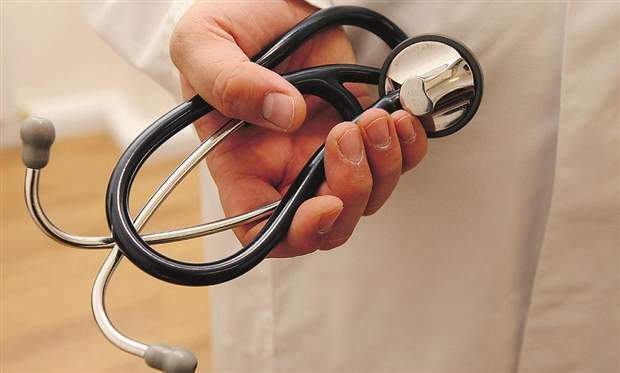 Move comes after 55 med school students were unable to find a residency in 2014, amid release of statistics showing 800,000 Ontarians lack a family doctor. Ali Damji has been dreaming about being a doctor since he was a child, when he carried around a toy briefcase stuffed with Bandaids, Polysporin and a mini flashlight. But even after landing a spot at the University of Toronto’s medical school, the fight to fulfill his dream is far from over. The Ministry of Health and Long-term Care isn’t making things any easier. It recently began to undertake plans to cut 50 Ontario residency positions over the next two years. The move, Damji said, comes after a year in which 55 medical school students in Canada were unable to find a residency. And amid reports that 800,000 Ontarians are without a family doctor. “Even with the reduction in residency positions, Ontario’s physician supply will continue to grow significantly, gaining approximately 700 new physicians each year between 2016 and 2020,” he said. The ministry, he said, is working with medical schools to determine what specialties will be hit with the cuts. Slashing spots is especially “concerning” when coupled with fierce competition for residencies, said Damji, who chairs the Ontario Medical Students’ Association. Some students fearing for their chances have applied outside the province and country for opportunities. Others who don’t find a residency after the first round of matching are sacrificing their hopes to work in particular areas of medical care just to nab an opening. Particularly alarming is the fact that “the cuts we have heard of are only to Canadian medical graduates, and to our knowledge there have been no cuts to the international pool,” said Melanie Bechard, the Canadian Federation of Medical Students’ vice-president of student affairs. “We support having international graduates in our system, but it is challenging to see how Canadian medical graduates will benefit and be able to give back to the country and system,” she said. Though they have concerns, she stressed that the CFMS and OMSA are not entirely against cuts if they are being made with a “careful and thoughtful analysis” of industry prospects. However, she said, there has been a lack of information regarding what areas are affected. That’s making students anxious because they often arrange research opportunities one to two years before their residency applications are filed. “If you just found out that spots are being cut in an area you want to specialize in and you want to revise your match, it doesn’t give them much time to change their career decisions,” she said, noting that there are few alternatives for getting a medical licence without completing a residency. To ensure the move doesn’t exacerbate strains on medical education, Dr. Trevor Young, co-chair of the Council of Ontario Faculties of Medicine, said university medical schools are working with the province to forecast where the cuts should be made.